Improving your credit score is key to borrowing money at lower interest rates. As I covered in my last post about how to lower your credit card interest rates, a low credit score can cost you a lot of money. That post shared strategies from David Bach that you could use right away to pay less in interest on your credit card without even raising your credit score. The following chapter of “Debt Free for Life” goes into detail about things you can do over time to improve your credit score – and as a result, pay less interest. He starts off by covering your credit report and how it determines your credit score. 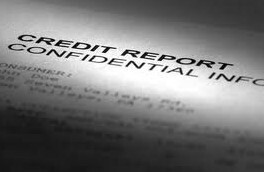 Your credit report contains identifying information about who you are, a list of all your credit accounts, credit inquiries made on your SSN, and any collection activity like foreclosures, liens, or bankruptcies. The role of the credit scoring agencies (Equifax, Experian, TransUnion) is to analyze all this data and use it to determine how big of a credit risk you are. They sift through all your data with mathmatical formulas that compare the specifics of your situation to all the information, history, and assumptions they have about borrowers. The end result is a number that’s supposed to take into account everything on your credit report and define how safe, or risky, it would be to lend you money – that number is your credit score. So basically your credit report is all the data about you and your credit score is a summary of that information that lenders use to decide whether to lend to you and at what terms. Since all the data on your credit report helps make up your credit score, Bach’s book points out how an error on your credit report can potentially hurt your credit score. Bach cites studies that have shown a surprsingly high number of people who have errors on their report, so he suggests the first thing you should do when trying to improve your credit score is check your credit report for any errors. The Fair Credit Reporting Act (FCRA) can help you out in two different ways. One thing it does it require the credit bureaus to give you one free copy of your credit report each year, which you can find at annualcreditreport.com. Another thing the FCRA does is require that inaccurate information on your report be corrected if you can prove that it’s wrong. After you send in a request to a credit bureau to correct your information they have 30 days to respond back. Another important point that Bach mentions is that you have to fix any errors separately with each different credit bureau. His book gives you a form you can use to ask a bureau to fix your credit report and also provides the addresses where you can send your request for Equifax, Experian, and TransUnion. As I mentioned the intent behind your credit score is supposed to be a standard gauge to help lenders decide whether to lend you money, how much, and at what interest rate. What Bach brings up is that your credit score is now being used for more than just lending decisions. I don’t have any exeperience with this but there are cases where credit scores are used when making hiring decisions and evaluating you for insurance coverage. One example he gives in his book is that in the military, soldiers with poor credit scores could be passed up for promotion because the bad score might represent a security risk. I don’t have any data on how widely credit scores are being used for things other than lending decisions but if it becomes more widespread then your credit score could influence more than just you borrowing money. Should You Care About Your Credit Score? I’ve had people complain on this site that the whole credit scoring system is out of control. For example, they think it’s ridiculous that college students or young professionals should borrow money just to build a credit history. The obvious fear is that you create debt, or a habit of borrowing, just so you can prove to the system you’re not a risky borrower. I agree it does seem silly to borrow money when you don’t need to, promoting borrowing, instead of saving. However, I don’t think it’s something that you can ignore simply because you don’t agree with the system. Everyone who wants to borrow money will be compared to millions of other people by the credit scoring models. Good or bad, right or wrong, the credit scoring system is how lending decisions are made in the US. The longer you don’t acknowledge it’s importance and avoid taking steps to build a credit history, the more difficult it might be to borrow money when you need it someday. It takes time to build up a credit history so it’s better to start when you don’t actually need the money and do it gradually over the years, rather than wait until you really need the money and time isn’t on your side. Halfway through the chapter on your credit score, Bach highlights the fact that last year FICO announced about 25% of US adults had credit scores below 600. This is a big deal because a score below 600 makes it difficult for you to get approved for a credit card, car loan, or home loan. I imagine many of the people that fell below 600 had some sort of financial complication caused by the “Great Recession” of the last few years. The reasons he highlights the big drop in credit scores in the book is to demonstrate how your credit score can change over time. The median credit score in the US is estimated at 720 and it could be that some of the people who dipped below 600 at one point had a score of 720 or better. The scary thing about your credit score is that the time you most desparately need to borrow money could be when your credit score is at it’s lowest. So if you have a good credit score but then lose your job and your house and can’t pay your bills, your lenders will inform the credit bureaus and your credit score will fall. I think the important lesson here is to think twice before depending on something like a home equity line of credit for your emergency fund. If your financial life has a melt-down it can take that emergency fund with it, as well as your credit score. At that point, you’ll be really glad if you saved up an emergency fund to help you get back on your feet. Now that we’ve covered why you have to watch out for a bad credit score, let’s look at what you need in order to have a good credit score. FICO lists the different credit score factors on it’s website, Bach discusses each of those compenents in his book and gives example of what to consider for each. Each factor has a different weight and the ones that make the most sense are the ones that make up the biggest portion of your score. The top three are your payment history (35%), amounts you owe (30%), and your length of credit history (15%). These make sense, lenders want to know what you’ve done with your loans in the past, how much you owe right now, and how much experience you’ve had with borrowing and repaying loans. The other two factors are how much new credit you’ve opened recently (10%) and the different types of credit (10%) that you currently have. New credit applications make sense because they want to know if you’re scrambling to borrow a bunch of money. Of course, another scenario could be that you got a much higher paying job and can afford to borrow more – something your credit score won’t tell them. In terms of the different types of credit you use, apparently a bigger variety of credit can benefit this portion of the score. Not only that, having only one type of credit can actually hurt your credit score. I don’t really understand the logic behind this part of the criteria so I can’t explain why it works that way. He goes into more detail about each of them and the potential number of points each could drop your credit score. Bach ends the chapter with a 12 step action plan to improve your credit but right before he digs into the action plan there’s a section on how much money your credit score can save you, or cost you, when applying for a loan. I’ve talked before about what a good credit score is worth and how your credit score affects interest rates when applying for a home loan. The book has a table that shows an estimate of what your interest rate and monthly payment would be based on your credit score range. According to the table a drop of 130 points in your credit score could mean an extra $300 a month in mortgage payments. If nothing else, that kind of savings should be a good motivator to do what you can to improve your credit score. If this article left you with any questions about your credit score, please ask them in the comments below. Next time I’ll go over Bach’s action plan for fixing your credit. Very comprehensive tips Ben! Good job! Very complete article. 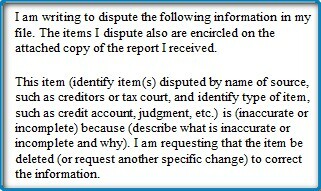 I’ve found that writing a dispute letter works wonders for getting errors removed from your credit report. As long as you have the proof that there’s a mistake that’s all you need. @Edwin, have you ever had a dispute be denied? One thing i wanted to point out about people having to borrow money just to build a credit history, is that you can build a credit history with a debit card. You can ask a cashier to run you debit card as a credit card and it will be reported to the credit bureaus. Also there are certain “secured” cards or pre-paid debit cards that automatically report to credit bureaus. I’m not exactly sure which pre-paid cards to recommend, but some do have alot of fees. So that is one thing you need to watch out for. @ross, I don’t use my debit card that much so I forgot that was an option, thanks! In terms of secured debt, you can apply for a secured credit card or you can get a secured loan. We used a secured loan to raise my wife’s credit score after we were married. @Jon, something else Chase does – if they suspect you’re just signing up for the their cards to get a bonus they’re offering and not really using the cards then they might deny your application. Good tip Jon. Just curious, how many cards did you apply for initially and were you approved for all of them? How much time passed between each application?